Adorable style. 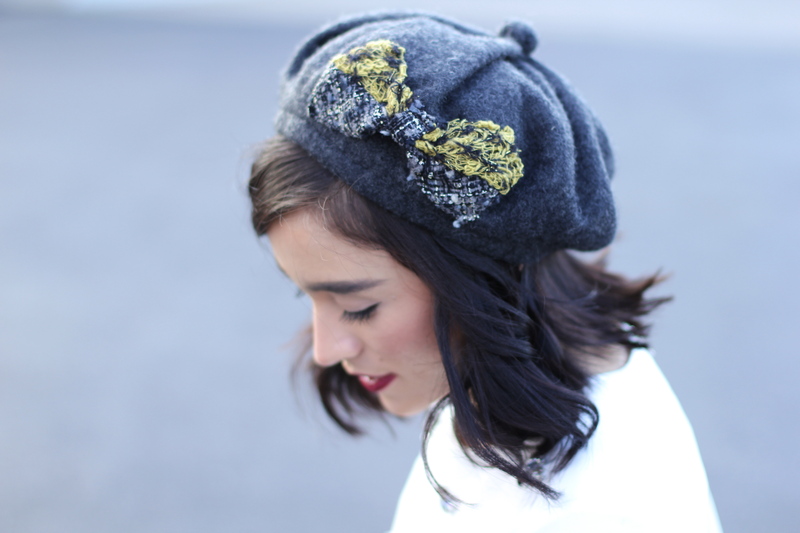 LOVE the beret! what lip color are you wearing? I love the dark lips!